A FRENCH gangster with mafia connections is at the centre of a probe into alleged dodgy transfers involving Premier League clubs after last week’s tax raids, The Sun on Sunday can reveal. Shadowy Jean-Luc Barresi is linked to the moves of at least 15 players including Chelsea star Cesar Azpilicueta, ex-Liverpool ace Fernando Morientes, French ace Loic Remy and former Manchester United player Gabriel Heinze. The gangster had “the walk” of French giants Olympique Marseille, which is at the centre of tax probe that saw HMRC officers raid the offices of West Ham and Newcastle earlier this week. Barresi is accused of illegally pocketing 440,000 euros (£371,000) from two players move to English clubs from scandal-hit French club Olympic Marseille. An unnamed English agent is said to have been paid 550,000 euros (£464,000) when Morgan Amalfitano moved to West Brom on loan in 2013 before the midfielder signed for West Ham the following year. 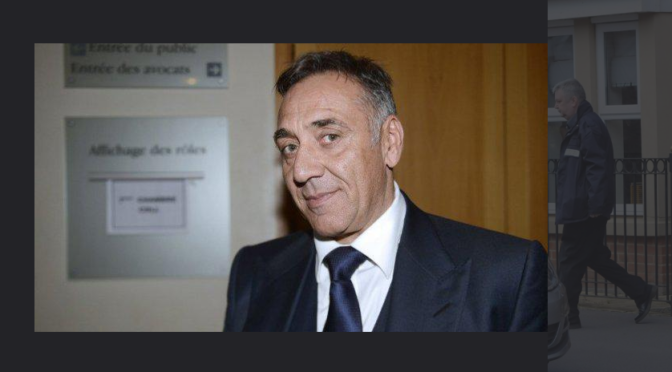 Barresi – who was convicted of racketeering in 2012 and has an elder brother serving ten-year prison term for trying to hijack an armoured car – is alleged to have been given a 389,000 euro (£328,000) backhander by the agent. Court papers in France also claim the same agent was paid 220,000 euros (£185,000) when Hatem Ben Arfa moved to Newcastle United in 2011. Barresi is said to have received 50,000 euros (£42,000) from the agent as part of the deal.